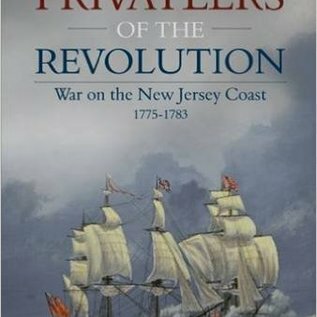 Privateers of the Revolution: War on the New Jersey Coast, 1775-1783 by Donald Grady Shomette. 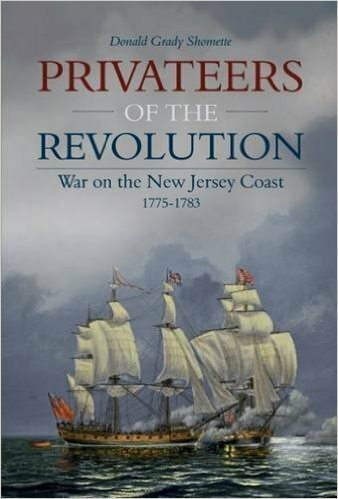 A revelatory narrative of the 535 Pennsylvania and New Jersey privateers, privately owned ships of war some called pirates. Manned by nearly 18,000 men, these privateers influenced the fight for American independence. From the halls of Congress to the rough waterfronts of Delaware River and Bay to the remote privateering ports of the New Jersey coast and into the Atlantic, a stirring portrait emerges of seaborne raiders, battles, and derring-do, as well as incredible escapes from the great British prison ships “vulgarly called Hell,” where more than 11,000 men perished. A work 40 years in the making extracted from archives in both Europe and America, it is a tale unrivaled by any Hollywood fiction.